In this edition of 'Cracking the AMCAT' series, we explore some of the AMCAT domain modules which students from core engineering backgrounds end up facing. 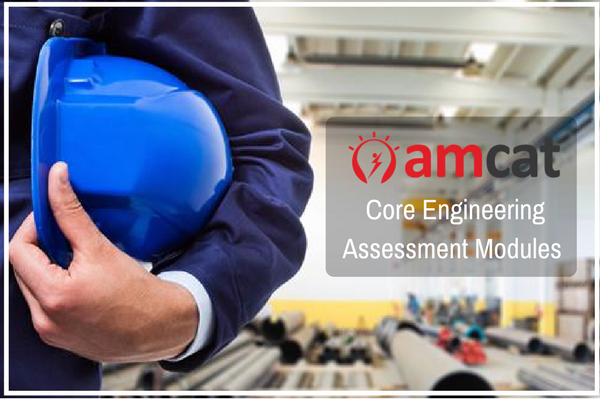 Core engineering assessment modules to prepare for during the AMCAT Test. If you’re worried about your performance on skill assessments or aptitude tests during a campus placement exercise, then you’re not being irrational. The tests, especially those given by companies hiring for core engineering jobs, check on actual inclination towards the traits they’re looking for. And bring down aspirants those with an actual inclination for the job. In this edition of ‘Cracking the AMCAT‘ series, we explore some of the AMCAT modules which students from core engineering backgrounds end up facing. 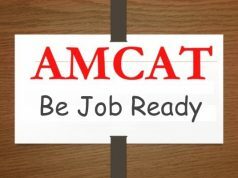 The AMCAT Test is a skill assessment, where a candidate is assessed in three compulsory sections and domain-based sections. While we have explored the three compulsory sections earlier (English Language, Logical Reasoning and Quantitative Ability), this segment focuses on the domain segment that engineering students from different core fields would likely receive. Do remember that the suggestions are not absolute; they are dependant on your course and may change if you’re giving the AMCAT Test for a specific company’s walk-in. Core Engineering here is a reference to the jobs and opportunities that a student receives during or immediately after their graduation from core engineering companies. This is a suggested thread which normally applies to students who take the AMCAT Test. 4. Go for individual AMCAT sample papers. And if you feel that you’re ready for a good AMCAT score, consider scheduling an AMCAT Test today. Are Mechanical MNC ‘s are also taking AMCAT Scores candidates ? If yes, than Above how much scores do these companies take. That’s a call which varies company to company. It is also based on the relative average scores of all candidates at that time. i want to know from where should i prepare for amcat-mechanical exam,either from any amcat sample paper or any other internet source ? Hi can any one tell me what modules should i choose to get calls from IT companies…?? I am from ece background…. You can choose the Electronics and Semiconductor, as well as the Telecommunication modules in order to get calls from core IT companies. 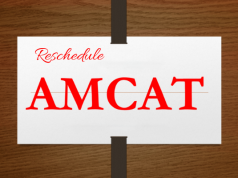 Do you provide Preparation materials for AMCAT under PrepAMCAT ? Which Module will be best for an E&TC engineer? Also, for E&TC, you can refer to the Electronics & Semiconductor module as well as the Telecommunication Module. Hope this helps. Why is computer programming module made common to all branches in the recommendation list? 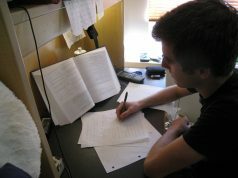 The computer programming module is a part of, both, the engineering module as well as the general subject module. It is for the students who are from BCA/MCA courses who can choose to appear for this module. Hi can any one tell me what modules should i choose to get calls from IT companies…?? I am a Electrical & Electronics Graduate. It is absolutely your choice what specialized domain you want to choose for your exam. If you are planning to make a career in software, and believe that your concepts are clear, then sure, you can definitely choose these subjects even if you are an ece graduate. Being an electronics graduate, you should go for the modules from the same subject. IT companies have different profile openings and not just for software development; if that’s what has been your confusion. If you score well in your amcat exam with the modules you choose of your own stream, you should definitely get calls from IT companies for a relevant job profile. Can i choose computer module am from civil engineering background but am passion about working in IT companies!! You can certainly choose any subject module you like to appear for. However, it must be remembered that companies give a strong weightage to the scores obtained in subject-specific module. So, if you are confident about your programming knowledge and feel that you are prepared to clear the computer module, then sure; go ahead. I am MTech IT graduate. Which of these modules am I supposed to select to get good job offers from IT companies? Kindly guide me through this to the point. Thank you. As an IT student, you can apply for jobs in programming and for that, you can select the computer programming module. You can find the amcat module for ECE here. You can go through the sample papers and previous years papers here. Hope this helps. Hi, I am mtech student. My branch is instrumentation and control. But u dont have subjects related to my branch. Which module should I take? And how much should be my score if I want good company? We do have a module for Instrumentation engineering. Kindly click on this link to get to our syllabus page. Scroll down in the Engineering tab to find the module of your subject. A recommended amcat score in every module is 550 or more. I think I may have made a mistake in choosing the optional modules while taking the AMCAT a month ago. I am a CS Engineering student and I chose Computer Science and Computer Programming. I have good pretty good scores in all the modules (>500). It’s been a month but I still haven’t received any interview call letters. Should I have chosen Automata as one of the modules? In that case, would it be advisable to retake AMCAT? I won’t say that you chose incorrectly by selecting Computer programming and CS as your optional modules. Yes, Automata is certainly the test which is considered highly by recruiters while hiring CS graduates. But, your scores in your optional modules shall also support your hiring. Sometimes it does take a while before candidates receive interview calls. So, I’d suggest that you wait for a couple of weeks more. Even after that if you feel that you should take the Automata test, then go for it.